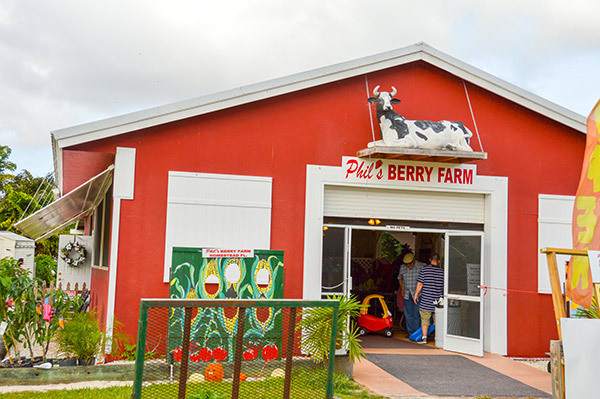 Just east of SW 142 Ave on SW 248 Street is Phil's Berry Farm. 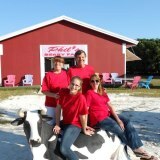 Look for the cow resting with a bucket of ice cream in front of a big red barn. 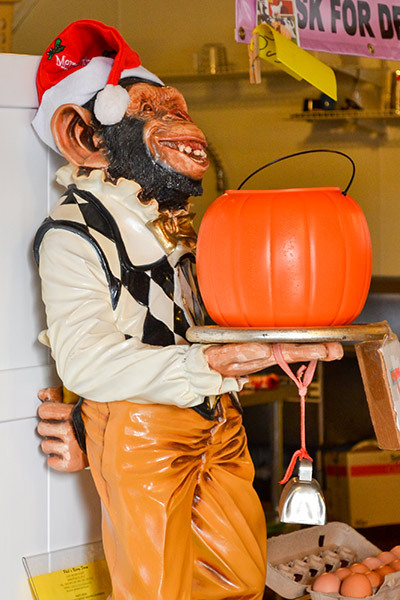 Phil offers delicious milkshakes in several tropical flavors, plus sticky, gooey cinnamon rich monkey bread, in addition to assorted fresh made treats. Orchids are for sale in the shade house only steps away. This is the most family-friendly place in the Redland region. Phil has all sorts of fun stuff to keep the kids occupied in and around his big red barn. 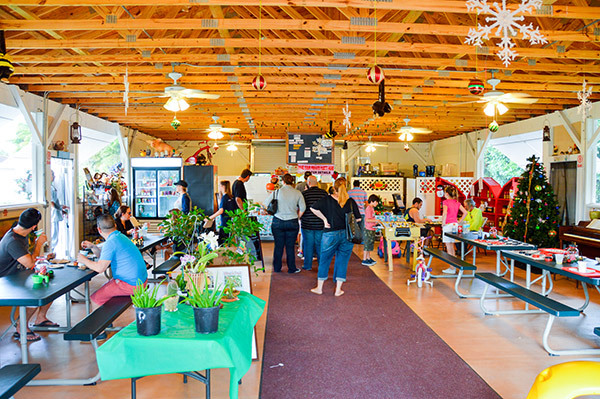 Relax and enjoy your fresh treats on comfortable picnic tables while the kids play indoors or out. Phil's family goes way back in the Redlands to the 1950s when his father started a tropical fish farm. He's always experimenting with growing something interesting, and loves to meet new people. Phil is the author and director of several small films and he has a number of props in hand in the barn. Ask him to tell you the stories about his film making.